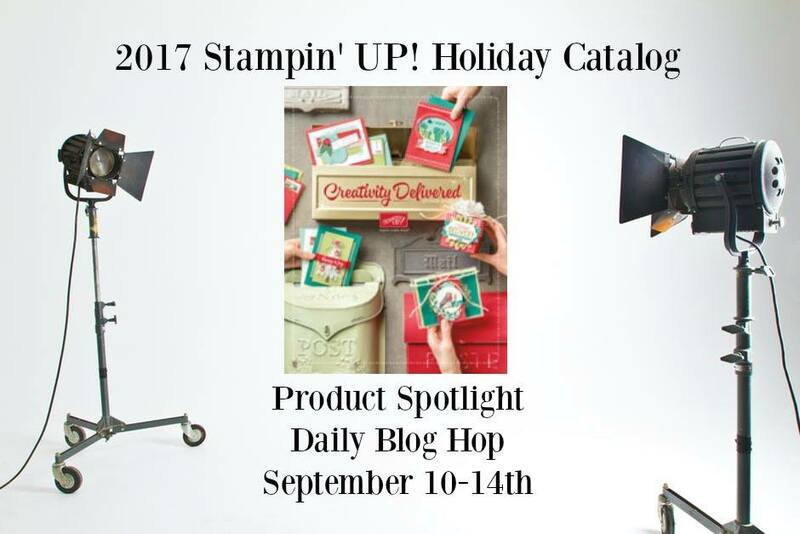 Thank you for stopping by on day three of our 2017 Holiday Catalog Product Spotlight Blog Hop. Today, I present to you… the CAT PUNCH! While this Cat Punch (144666) is grouped with the Halloween products in the back of the catalog, have no fear… he has more than just spookiness going for him. I can’t wait to see what the other bloggers have created with him. I have no idea why I keep calling it a him… but, I do. Of course, I had to start with a Halloween one. 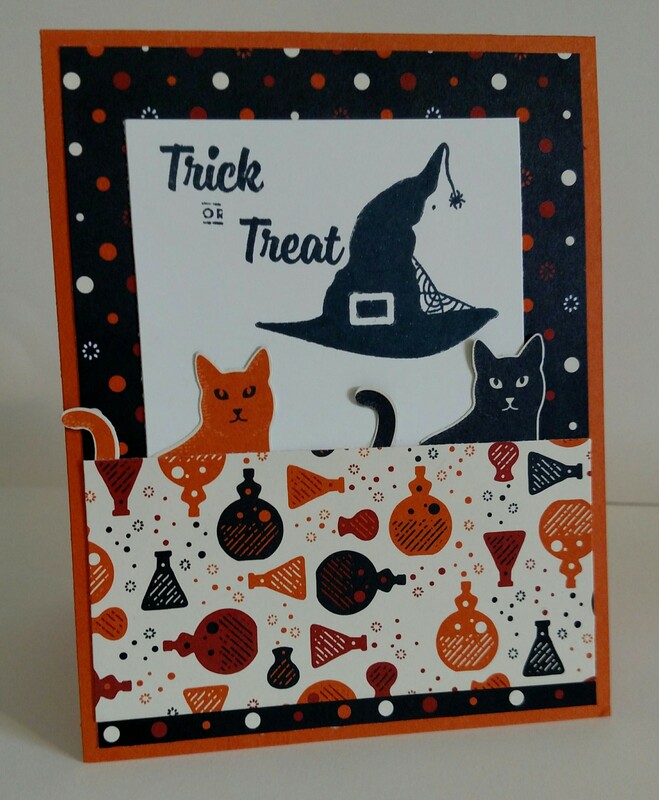 The punch coordinates perfectly with the Spooky Night Designer Series Paper (144610). The paper comes with a sheet that is covered with cats. These were just the little partial cats at the bottom of the page. 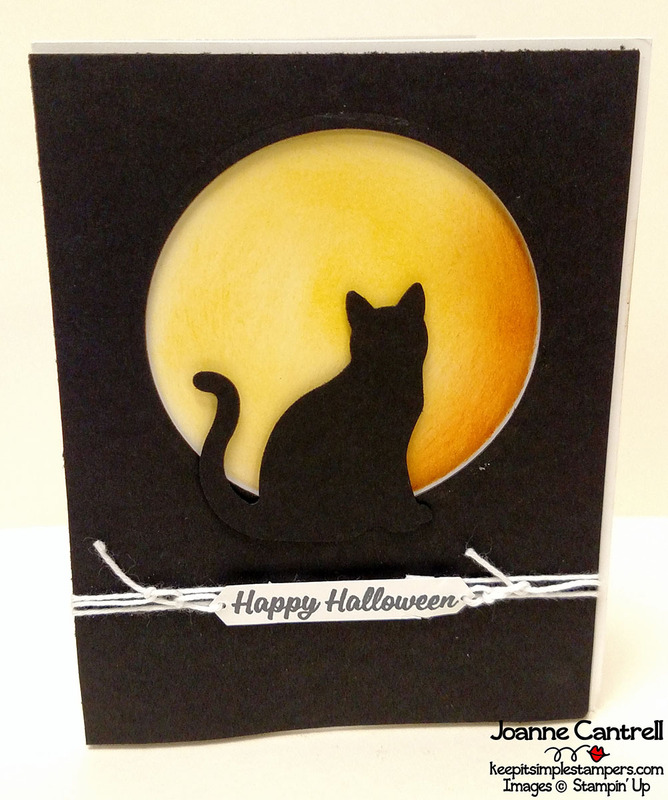 Nothing like a simple black cat howling at a harvest moon! Quick, simple, and easy! Really!!! 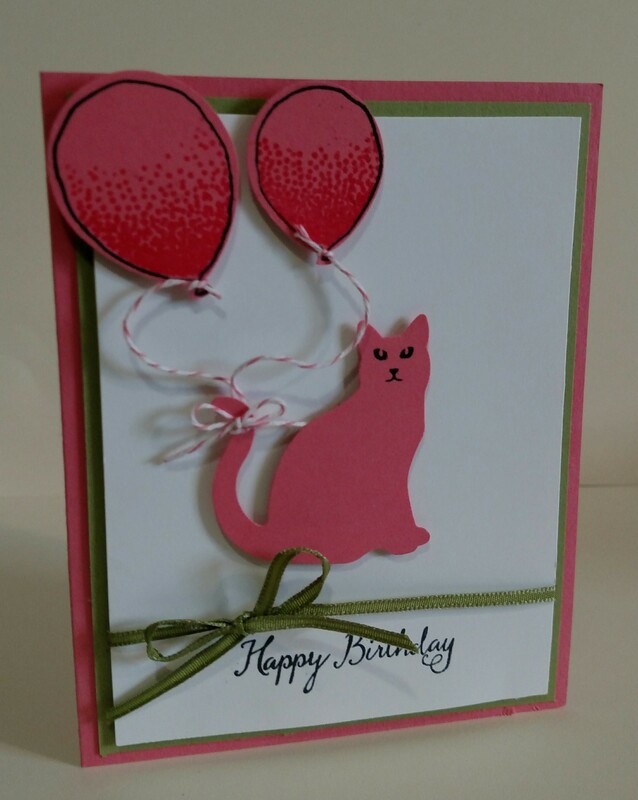 How about a Catty Birthday card for your favorite cat lover? 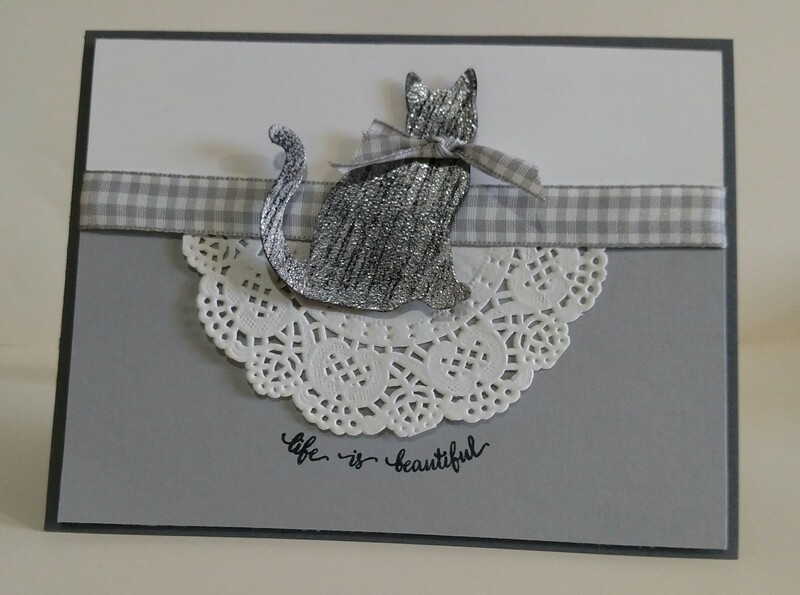 Here is a black cat that I covered with VersaMark and covered with Silver Embossing powder. I used a piercing tool to scratch off some of the powder before I used the heat tool to set it. Well, that’s all I have for you today… hop on, my little bunny!